“Cannabidiol (CBD), the major non-psychotomimetic compound present in the Cannabis sativa plant, exhibits therapeutic potential for various human diseases, including chronic neurodegenerative diseases, such as Alzheimer’s and Parkinson’s, ischemic stroke, epilepsy and other convulsive syndromes, neuropsychiatric disorders, neuropathic allodynia and certain types of cancer. CBD does not bind directly to endocannabinoid receptors 1 and 2, and despite research efforts, its specific targets remain to be fully identified. Notably, sigma 1 receptor (σ1R) antagonists inhibit glutamate N-methyl-D-aspartate acid receptor (NMDAR) activity and display positive effects on most of the aforesaid diseases. Thus, we investigated the effects of CBD on three animal models in which NMDAR overactivity plays a critical role: opioid analgesia attenuation, NMDA-induced convulsive syndrome and ischemic stroke. In an in vitro assay, CBD disrupted the regulatory association of σ1R with the NR1 subunit of NMDAR, an effect shared by σ1R antagonists, such as BD1063 and progesterone, and prevented by σ1R agonists, such as 4-IBP, PPCC and PRE084. The in vivo administration of CBD or BD1063 enhanced morphine-evoked supraspinal antinociception, alleviated NMDA-induced convulsive syndrome, and reduced the infarct size caused by permanent unilateral middle cerebral artery occlusion. Role of the cannabinoid signaling in the brain orexin- and ghrelin-induced visceral antinociception in conscious rats. Cannabinoid receptor type 1 in the brain regulates the affective component of visceral pain in mice. “Endocannabinoids acting through cannabinoid receptor type 1 (CB1) are major modulators of peripheral somatic and visceral nociception. Although only partially studied, some evidence suggests a particular role of CB1 within the brain in nociceptive processes. As the endocannabinoid system regulates affect and emotional behaviors, we hypothesized that cerebral CB1 influences affective processing of visceral pain-related behaviors in laboratory animals. To study nocifensive responses modulated by supraspinal CB1, we used conditional knock-out mice lacking CB1 either in cortical glutamatergic neurons (Glu-CB1-KO), or in forebrain GABAergic neurons (GABA-CB1-KO), or in principle neurons of the forebrain (CaMK-CB1-KO). These mutant mice and mice treated with the CB1 antagonist SR141716 were tested for different pain-related behaviors. In an acetic acid-induced abdominal constriction test, supraspinal CB1 deletions did not affect nocifensive responses. In the cerulein-model of acute pancreatitis, mechanical allodynia or hyperalgesia were not changed, but Glu-CB1- and CaMK-CB1-KO mice showed significantly increased facial grimacing scores indicating increased affective responses to this noxious visceral stimulus. Similarly, these brain-specific CB1 KO mice also showed significantly changed thermal nociception in a hot-plate test. “Pain is a serious health problem that is commonly treated with opioids, although the doses of opioids needed to treat pain are often similar to those that decrease respiration. Combining opioids with drugs that relieve pain through non-opioid mechanisms can decrease the doses of opioids needed for analgesia, resulting in an improved therapeutic window, but only if the doses of opioids that decrease respiration are not similarly decreased. Using small doses of opioids to treat pain has the potential to reduce the number of overdoses and deaths. This study investigated whether the cannabinoid receptor agonists Δ9-tetrahydrocannabinol (Δ9-THC) and CP 55,940 modify the ventilatory-depressant effects of morphine and fentanyl in three monkeys. Cannabinoid 1 receptors are expressed in nociceptive primary sensory neurons. Possible mechanisms of cannabinoid-induced antinociception in the spinal cord. “Anandamide is an endogenous ligand at both the inhibitory cannabinoid CB(1) receptor and the excitatory vanilloid receptor 1 (VR1). The CB(1) receptor and vanilloid VR1 receptor are expressed in about 50% and 40% of dorsal root ganglion neurons, respectively. While all vanilloid VR1 receptor-expressing cells belong to the calcitonin gene-related peptide-containing and isolectin B4-binding sub-populations of nociceptive primary sensory neurons, about 80% of the cannabinoid CB(1) receptor-expressing cells belong to those sub-populations. Furthermore, all vanilloid VR1 receptor-expressing cells co-express the cannabinoid CB(1) receptor. In agreement with these findings, neonatal capsaicin treatment that induces degeneration of capsaicin-sensitive, vanilloid VR1 receptor-expressing, thin, unmyelinated, nociceptive primary afferent fibres significantly reduced the cannabinoid CB(1) receptor immunostaining in the superficial spinal dorsal horn. Synthetic cannabinoid CB(1) receptor agonists, which do not have affinity at the vanilloid VR1 receptor, and low concentrations of anandamide both reduce the frequency of miniature excitatory postsynaptic currents and electrical stimulation-evoked or capsaicin-induced excitatory postsynaptic currents in substantia gelatinosa cells in the spinal cord without any effect on their amplitude. These effects are blocked by selective cannabinoid CB(1) receptor antagonists. 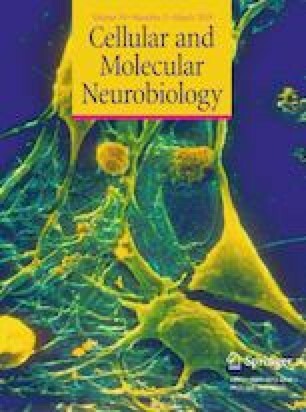 Furthermore, the paired-pulse ratio is increased while the postsynaptic response of substantia gelatinosa neurons induced by alpha-amino-3-hydroxy-5-methylisoxasole-propionic acid (AMPA) in the presence of tetrodotoxin is unchanged following cannabinoid CB(1) receptor activation. These results strongly suggest that the cannabinoid CB(1) receptor is expressed presynaptically and that the activation of these receptors by synthetic cannabinoid CB(1) receptor agonists or low concentration of anandamide results in inhibition of transmitter release from nociceptive primary sensory neurons. High concentrations of anandamide, on the other hand, increase the frequency of miniature excitatory postsynaptic currents recorded from substantia gelatinosa neurons. This increase is blocked by ruthenium red, suggesting that this effect is mediated through the vanilloid VR1 receptor. “Morphine is a potent opioid analgesic used to alleviate moderate or severe pain but the development of drug tolerance and dependence limits its use in pain management. Previous studies showed that cannabinoid type 2 (CB2) receptor ligands may modulate opioid effects. However, there is no report of the effect of CB2 receptor agonist on acute morphine tolerance and physical dependence. We therefore investigated the effect of a CB2 receptor agonist (AM1241) on morphine-induced morphine tolerance and physical dependence in mice. Our findings suggest that coadministration of the CB2 receptor agonist and morphine could increase morphine antinociception and reduce morphine tolerance and physical dependence in mice.